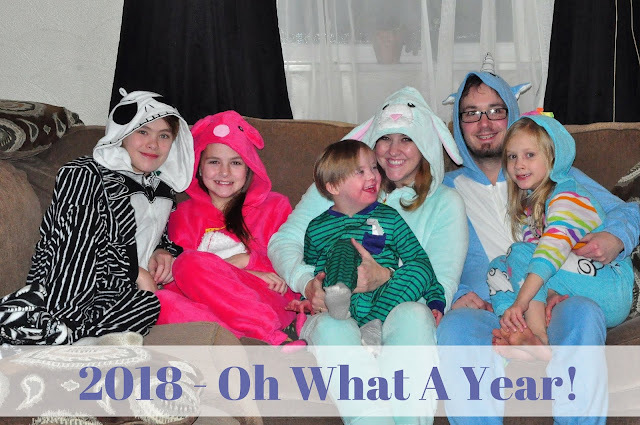 2018 - Oh What A Year! It's the last day of 2018, and I can't help but remininisce! Just like any other year, it had its ups and downs, but for the most part, it was a great year for my family. I know I say it every single year at this time, but this year FLEW BY! Sometimes it's so easy to get stuck on what went wrong during the year, but I choose to focus on the positive. We ended the year with everybody we love still in our lives, so that's an instant win! Yes, there were difficult moments, but the year was filled with so much love, happiness, and lasting memories! 2018 was an exciting year for us. Not only did we add a puppy to our family, but we found out we were expecting one more baby...SURPRISE! At the beginning of December, our Elf on the Shelf returned from the North Pole, and surprised our kids with a Christmas Breakfast! Our Elf, Christopher, has been a part of our Christmas traditions since he arrived a few years ago. Although our kids know the reason for the season, and focus on giving, our Elf adds a bit more fun and excitement to the weeks leading up to Christmas! 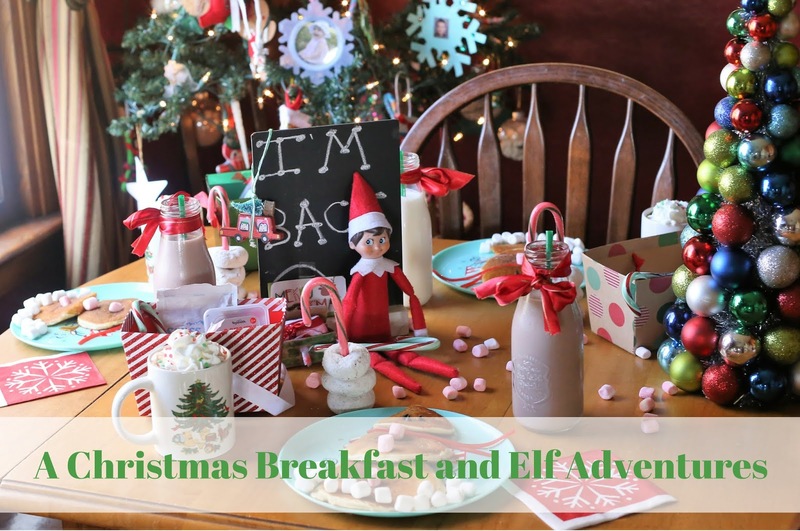 This year, our Elf arrived on the evening of December 1st, and set up a Christmas Breakfast for our kids to wake up to the following morning. The North Pole Breakfast is one of our more recent traditions, and the kids always enjoy it. This year, we were down one kid, but next year there will be another seat filled at our table! (We're running out of room!) Since then, our Elf has been entertaining our family each day with his Elf-ish Adventures! I was compensated for some of the items mentioned below or received them complimentary. Every year, when the Christmas catalogs start arriving, I immediately start flipping through them to get gift ideas for our four kids, and begin making lists. 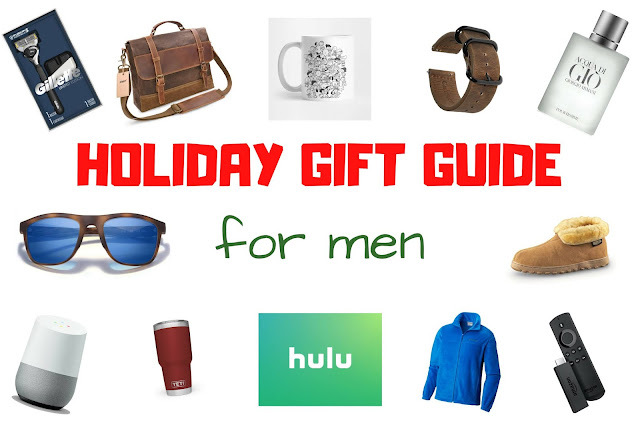 Weeks later, I find myself staring blankly at the gift list I’m trying to make for my husband. After 18 years of marriage, we’ve reached the point where we just buy what we want or need when we need it, which makes gift-buying a challenging task! This Christmas, I want to do things differently. I want to fill those packages under the tree with gifts that are functional, fun, and unique, rather than give my husband the same things I give him every year! I said it before, but November went by ridiculously fast! Then again, that's every month these days. 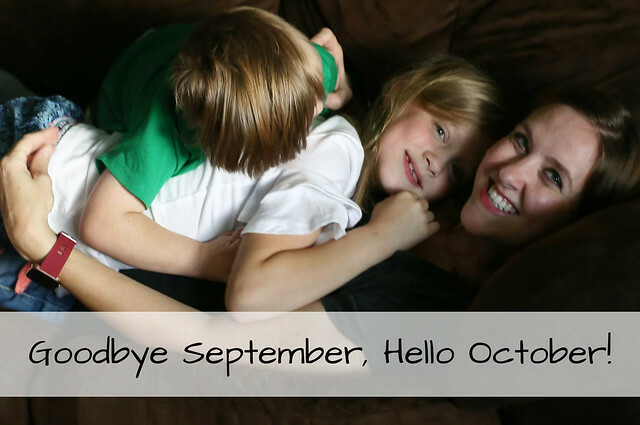 The truth is, the more kids you have, the busier life is, and the faster the months (and years) go by! 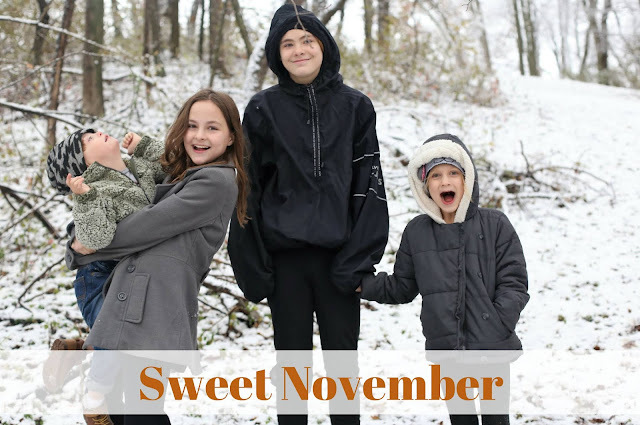 November was filled with so many sweet everyday moments, but we also celebrated Dylan's birthday and Thanksgiving, had many school events (which ended up on my smartphone's camera roll), Dylan started basketball, and we kicked off the holiday season! 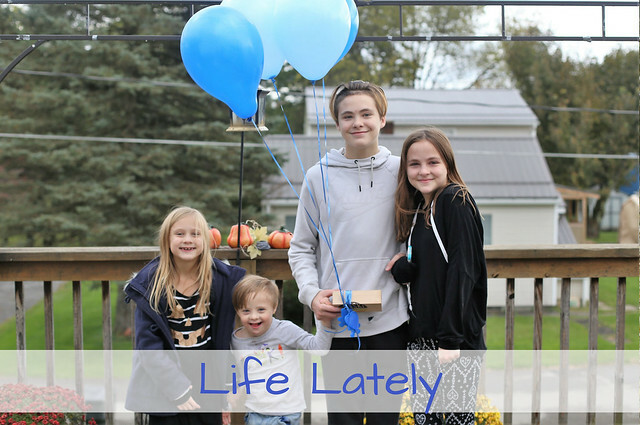 Because our December has been so busy, I've only been able to blog once a week, so I figured a short and sweet life lately post was the way to go! Only FOURTEEN days until Christmas! December flies by faster with each passing year. 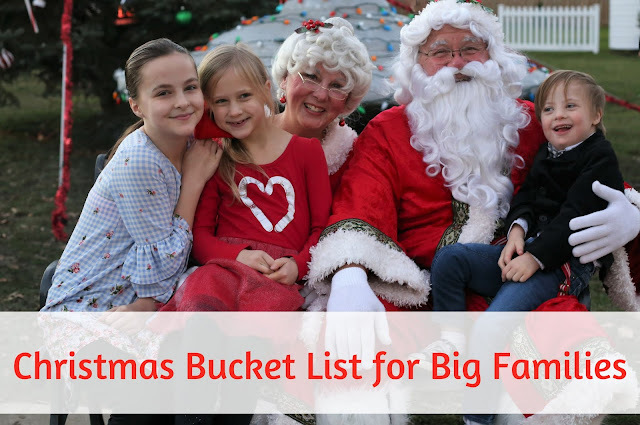 We have a Christmas Bucket List, and we're checking off as many things as we possibly can, but I still feel like we're rapidly running out of time! 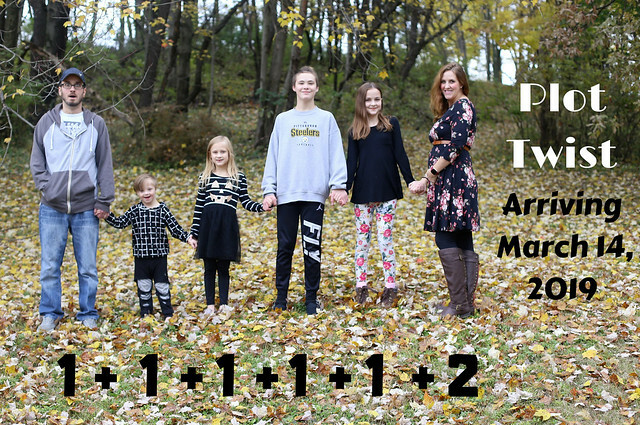 Although we would love to accomplish everything and go to so many more events than we already do, there simply isn't enough time or money for a family this big. Perhaps it's because I'm pregnant with baby #5, and still struggling with morning sickness, but this year, I'm all about simplifying things. This year, we narrowed it down to our most favorite traditions of all! Happy December! Only THREE weeks until Christmas! Where has time gone?!? Our house is mostly decked, our elf is back, we visited Santa, we're already checking items off of our Christmas Bucket List, and shopping has commenced. This year, I'm determined to ENJOY the season, rather than be stressed the entire month! We kicked off the Christmas season on Black Friday this year, by setting up our tree. Most of our crew was at sleepovers, so we didn't get to decorate it until a few days later. It was definitely nice to enjoy the lights from the Christmas Tree so early this year! 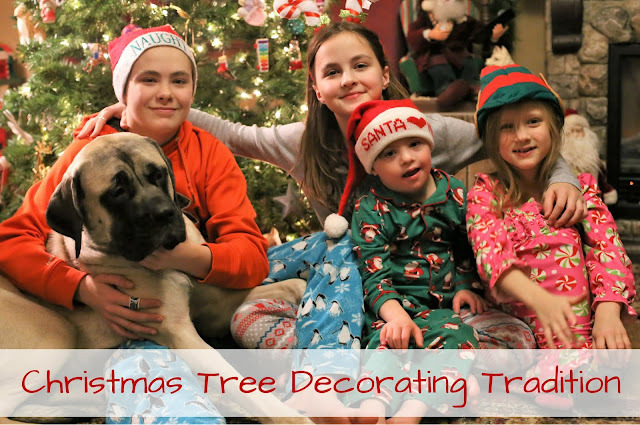 Our first Christmas Tradition each year is to have a Family Christmas Tree Decorating Night. Although I spent the entire weekend following Thanksgiving decorating our house, we all gathered on November 26th for one of our favorite traditions. We started to celebrate Christmas together by putting up our Christmas Tree! Our 6th day at Myrtle Beach was busy and fun! I take our family pictures every year on the beach, and it has become our tradition. We usually wait until the last day for our mini photo session, and end up scrambling to get them done, so we decided to move it up a day this year. It was a great decision! The session was still rushed as the light was fading, because I didn't realize how far of a walk down the boardwalk it was to our chosen spot, but I love how they turned out! Although most of the pictures are from our family photoshoot, I also wanted to share a few fun moments from our day at the pool and on the boardwalk! During the holiday season, my family tries to spend as much time together as possible! We have so many beloved holiday traditions, and we look forward to them every year. Fortunately, we’ve never had to spend the holidays apart, but that isn’t the case for some families. 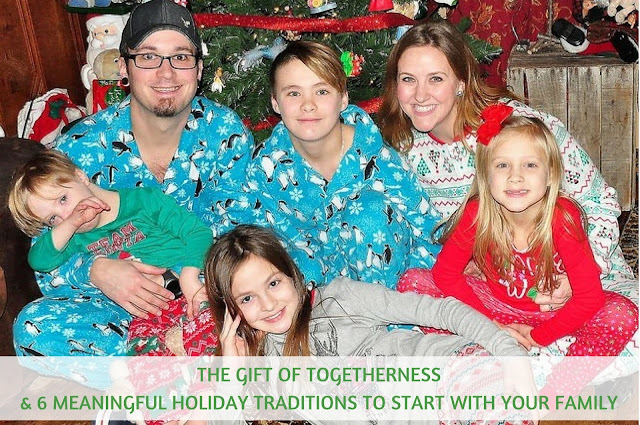 This holiday season, you can give families with sick children a wonderful gift: The gift of togetherness. Ronald McDonald House Charities provides a place for families to stay close to the hospitals where their children are receiving medical care, through the Ronald McDonald House and Ronald McDonald Family Room programs. 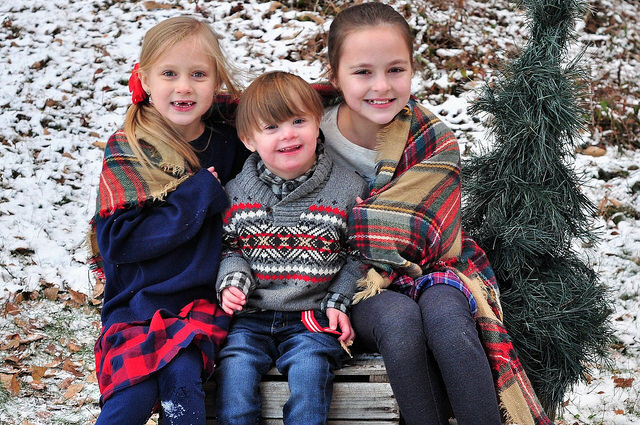 A donation to RMHC gives these families the gift of comfort, joy, and togetherness! The benefits of family togetherness are endless! Spending quality time together as a family strengthens family bonds, teaches children the importance of family time, and creates lasting memories. The holidays are the PERFECT time for families to spend lots of time together while experiencing meaningful holiday traditions! This year, Thanksgiving was extra special, because it was also Dylan's 14th Birthday! Our Christmas baby decided he wanted to be a Thanksgiving baby instead, so every few years, Dylan's birthday falls on Thanksgiving. When that happens, we try to make his birthday the main focus, so our Thanksgiving was very casual! On the day before Thanksgiving, my 24/7 morning sickness decided to go back to being severe. With that nasty comeback, it took all my energy to focus on preparing for Thanksgiving and Dylan's birthday, so sadly, my photos are lacking this year. I tried to capture Dylan's special day, but didn't do so well with Thanksgiving memories. Dylan ended up having a great birthday, though, and that's all that matters! This post is sponsored by Fender but the content and opinions expressed here are my own. My husband is a self-taught guitar player. As a singer, I always thought it would be fun to learn so I could accompany myself. 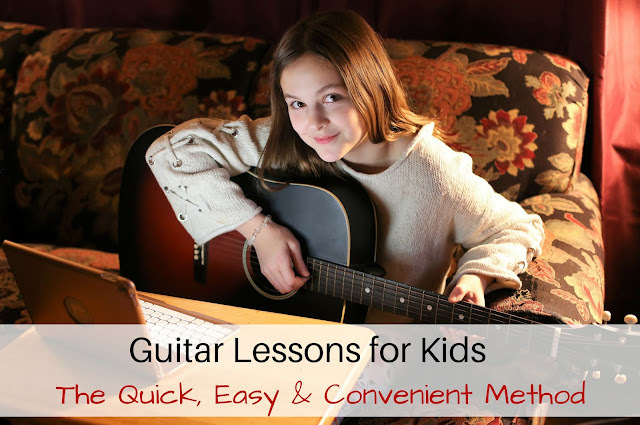 I never found the time for that, but when my 11 year old daughter recently expressed interest in learning how to play the guitar and keyboard, I couldn't say no! Unfortunately, with four kids, time and excess money are lacking. That's why I'm so grateful for Fender Play! Lexie (and anybody else in our family) is able to learn how to play guitar through this inexpensive and incredibly convenient learning app! Lexie - and 7 year old Lily - just started using Fender Play, and it's working well for them! Learning to play an instrument has numerous benefits for children AND adults. Learning to play guitar, ukulele, or bass with Fender Play is fun and easy! This post is sponsored by Vanguard but the content and opinions expressed here are my own. With four (soon to be five) kids, time and money are precious things. There is simply never enough time, and sometimes, not enough money. My husband and I have work, a home, and four kids to juggle, but we try our hardest to make quality family time a priority, and we make sure each of our children feels valued and loved. Investing in our future is so important, but everyday life, and our current needs take priority. Sometimes we focus so much on what we need to buy that we lose sight of what’s right in front of us. As every parent knows, time goes by SO quickly, and those special moments with our children while they are young slip through our fingers. Before we realize it, those moments will be gone, and we will have missed so many amazing opportunities to bond with them. 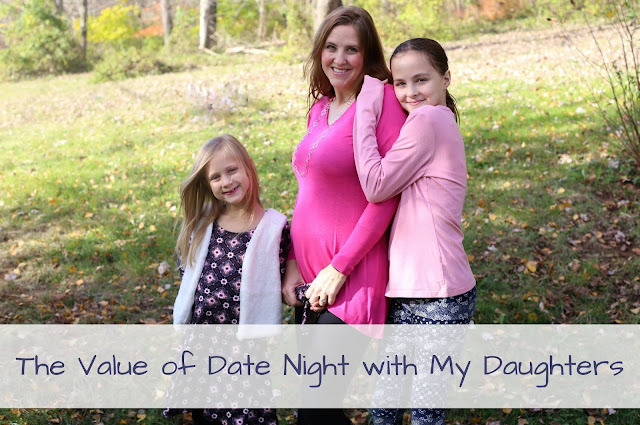 This past weekend, instead of worrying about what we need to spend our hard-earned money on, I invested my time (and some money) on a date night with my daughters! It was a much needed experience for all three of us! 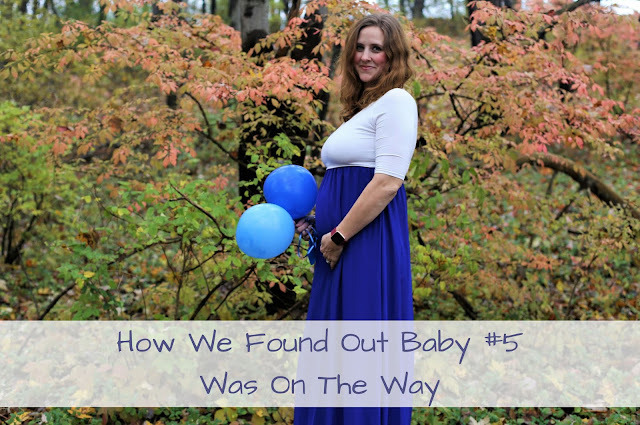 It's no secret that our current pregnancy was a BIG surprise! We were in the mindset that we were completely done having children. Our four kids were all in school, baby gear and clothing was given away, and we were moving forward with the next stage in our lives. But obviously, there were other plans for our family! The news was a bit of a shock at first, but we adjusted quickly. Instead of worrying about how much another child was going to change our lives, we chose joy instead. Simply put, we now get to experience the blessing of another child that we never thought we would have! This post is sponsored by Make-A-Wish Foundation but the content and opinions expressed here are my own. During the month of November, many families like mine focus on volunteering and giving back. This month, there's a fun and easy way to do so! 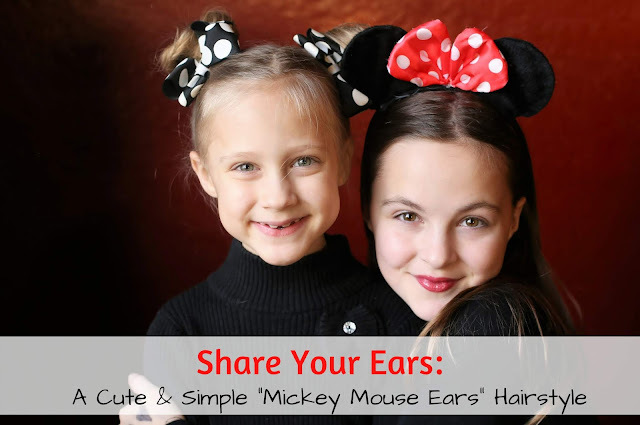 In celebration of 90 years of Mickey Mouse, and to honor the 130,000th wish granted from Make-A-Wish, Disney is asking fans to "Share Your Ears" to help make wishes come true for children with critical illnesses! It's so easy to join in on the fun, and help make a difference! From now until November 27th, 2018, all you have to do is publicly share a photo of you or your family showing off your Mickey Mouse ears or any creative "ears" on Facebook, Instagram, or Twitter using #ShareYourEars and Disney will donate US $5 to Make-A-Wish. Disney will be donating as part of the Disney Team of Heroes commitment to give comfort and inspiration to families around the world! Maybe you are already a Disney fan and have your own Mickey Mouse ears. If not, you can still easily participate by making your own! ANY ears will do! At 22 weeks pregnant, I'm not really feeling overly creative right now, but if you have long hair, it is super easy to create "ears" using your own hair! Not only is it simple to do, but it's super cute, too! Happy Friday! It has been a few weeks since I shared a few of my favorite things, and my love list just keeps getting longer. I have so many new favorites that I would be typing forever if I included them all, so I'll just share some today, and some more next Friday! If I'm going to be perfectly honest, much of my focus these days is on my kids and the new baby that we were not the least bit prepared for! (And if you missed the news, here you go!) It has been 5+ years since our last baby was born, and so many things have changed since then. Plus, we have to purchase almost everything again, because we were DONE. When I'm feeling so sick all the time, I don't really love much for myself, so most of my favoites are for kids! 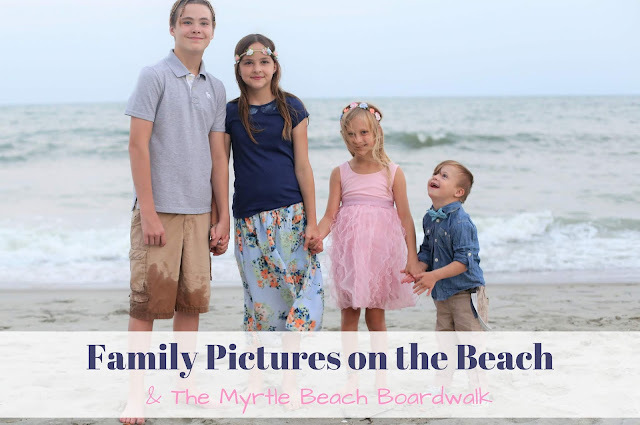 I made it my goal to complete our Myrtle Beach Family Vacation Recap within 3 months of our trip ending. I had to be reasonable, considering I'm currently growing a tiny human who is incredibly worth it, but making me so sick every single day! I wasn't able to mention it before breaking the news, but we actually figured out we were expecting shortly after we arrived in Myrtle Beach. I'll save THAT story for another day! Happy November! Life Lately has been very busy and very exciting. If we're friends on Facebook or Instagram, you probably already heard the news...if not, all you have to do is read my previous post! Although the busyness of life isn't going to slow down, I'm finally able to function better. I'm hoping to get back to a regular blogging schedule in this month. I missed writing and reading blogs so much while I was sick! This post is sponsored by Mouse Loves Pig. Halloween seems to be the official start of the Holiday season! We go straight from Halloween to Thanksgiving to Christmas to the New Year, and the time we spend traveling increases so much. Keeping our younger kids happily occupied while traveling is so important! On our last road trip, we took along screen-free travel toys from Mouse Loves Pig, and they were an instant hit! With four (soon to be five!!!) kids in the car, space is limited. But the sweet, handmade playsets that we received folded up so small that I could easily fit two of them in my purse! Last night, we finally made our huge announcement! We had been keeping it a secret since August, so it was a relief to finally tell everyone. I know many people expected a new house, a big move, or a career change, but there were a few who expected a pregnancy announcement. And those few people were right! I know many of you follow me on social media, but I had to make the news blog official, too. This was definitely the funniest addition sentence we've ever written! We weren't sure how we were finally going to announce our 5th and final pregnancy, but we decided a little bit of humor and a whole lot of love was the way to go! This post is brought to you by Guitar Center and The Motherhood. All opinions are my own. My husband and I have musical backgrounds. When we were kids, we played instruments in band, sang in the choir, and performed in musicals. We actually met when we were cast as the leads in a musical, as Adam and Eve! As parents of 4, there isn't much time for our musical interests these days, but he still plays guitar, and I sing loudly to show tunes during my Mom Taxi duties. We are trying so hard to make music a big part of our kids' lives! Raising children is tough. There are many battles to overcome, and sometimes, as parents, we have to seek alternative methods. Music education can benefit ALL kids, and the benefits are endless! Encouraging children to sing or play an instrument can potentially improve many aspects of their lives. 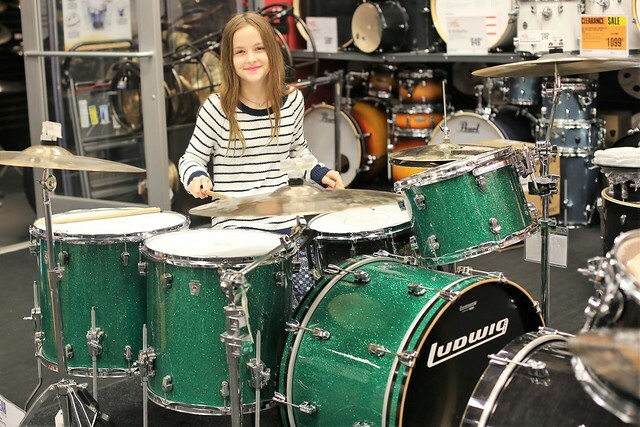 Music education builds social skills, creates discipline, leads to higher self-confidence, builds hand-eye coordination skills, leads to academic improvement, improves retention and cognitive reasoning, and allows kids to express themselves. Music can also lower anxiety and improve physical well-being! Just think about it...doesn't music make you feel happy? 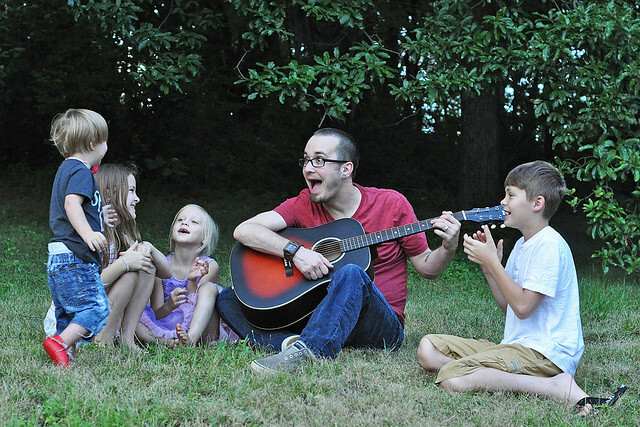 My husband and I encourage our kids to make music a daily part of their lives in some form. They might express themselves by creating tunes with a program on the computer, by singing, by dancing, or by banging VERY loudly on instruments, but all four of our kids embrace music. And if they need a little help along the way, Guitar Center is there to help with all forms of music education! This post is brought to you by the Senator John Heinz History Center and The Motherhood. All opinions are my own. Over the weekend, my family headed into Pittsburgh to visit the Heinz History Center. We couldn't wait to explore Destination Moon: The Apollo 11 Mission! 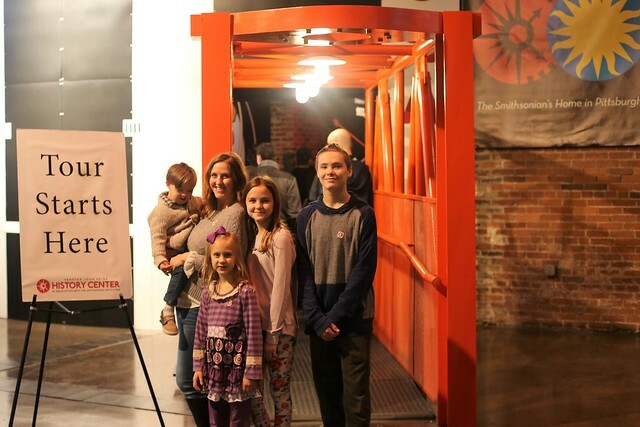 The Heinz History Center is one of four museums to host the Smithsonian's breathtaking traveling exhibit, which will be on display until February 18, 2019. This exhibit is a must see! This was our first visit to the Heinz History Center, and I'm so glad we finally got the chance to go! I didn't realize how family-friendly it is. There were plenty of fun, interactive exhibits for my four kids, including the Destination Moon exhibit. We had a lot of fun, and we learned so much along the way! This post is sponsored by Kohl’s. I was paid for this post and received the included Fitbit as compensation. Life with a big family is busy! After work, school, activities, and responsibilities in the home, there isn’t much time for anything else. Living a healthy, active lifestyle, however, is one of my family’s priorities! It’s so important to teach children to make healthy choices and stay fit while they’re young, so healthy living becomes a lifelong habit. Just like everything else, it begins in the home. Kids learn by example! If we want to raise healthy, active kids, we have to be healthy, active parents! Recently, we became a Fitbit Family! Prior to receiving the Fitbit Versa Ruby, I didn’t even wear a watch. I wasn’t completely convinced that I would use it frequently, but I was wrong. I absolutely love it! I feel lost without it on my wrist, and I use it all the time. 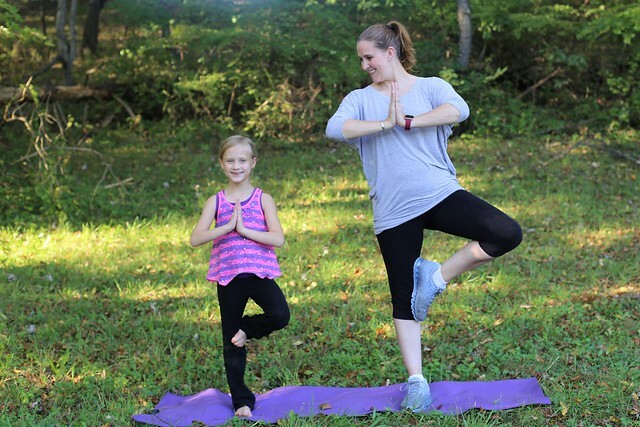 My family and I quickly learned that it’s easy and fun to stay in shape with Fitbit. It truly is such a great motivator! It happens every year. Summer lasts well into October, and I find myself wishing for Fall to arrive. Once it does, it hits with full force. We don't have transitional weather in Pittsburgh anymore. We go straight from 80+ degree weather to 50 degree weather overnight! 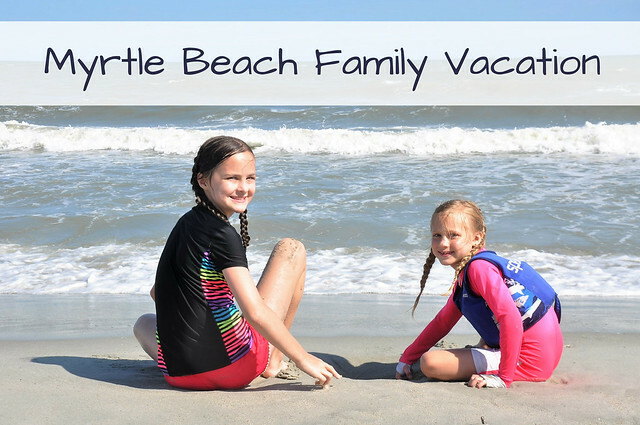 Now I find myself wishing we were back in Myrtle Beach, enjoying family time and gorgeous beach weather! 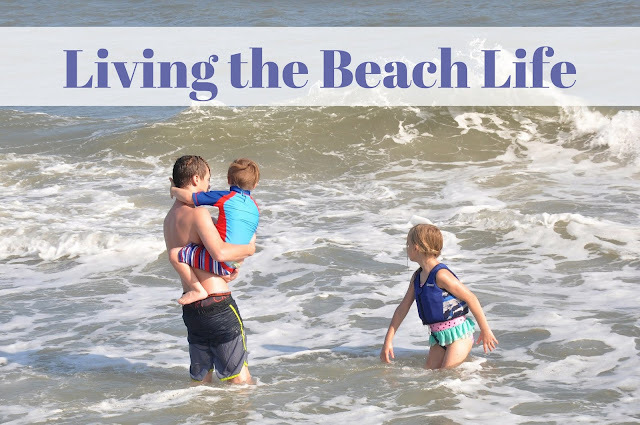 If you've been following along, I already posted a recap of our road trip to the beach on Liam's 5th Birthday, and our second day in Myrtle Beach, along with our favorite tips for vacationing at the beach with kids! If not, I included those links at the bottom of the post. I'm determined to finish the complete recap by Thanksgiving, unlike last year's vacation, which took an entire year to finish. Going through thousands of vacation photos is a daunting task! I received complimentary products from discountcontactlenses.com in exchange of an honest review. Like many people, I have to wear corrective lenses. I started wearing glasses when I was in 5th Grade, and switched to contact lenses the following year because I hated them so much. Although I should probably get a pair of glasses to use as backup, I prefer contacts, and have been relying on them for 20+ years. Wearing contacts is so routine now that I don't even think about it much. But just like with anything else in life, it's easy to start skipping important steps to save time. 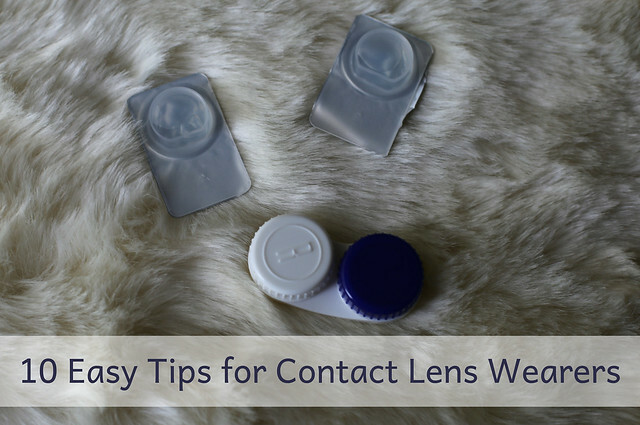 After all, contacts are disposable these days! What does it matter? The truth is, it does matter! Thankfully, there are easy ways to save time, make your contacts last longer, keep your eyes healthy, and save money! Every Summer, we go on a family vacation to the beach. We always go to Virginia Beach, but this year, we decided to switch things up a bit and try a different place! So on Liam's birthday in late August, we packed our SUV to capacity, piled in, and headed to Myrtle Beach for a week of family fun! I already recapped Liam's birthday, and our road trip to the beach. 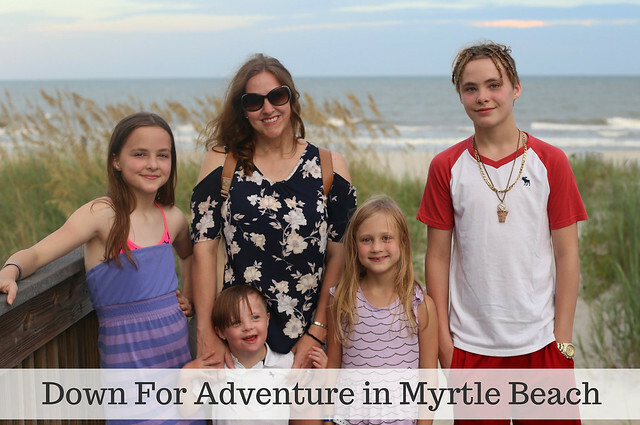 We decided after just a few hours of being there that we loved Myrtle Beach just as much, if not more than, Virginia Beach. Our first full day was so lovely, that I can't help but wish we were back in paradise right now! September went by in the blink of an eye, and October is in full swing! Although the leaves are starting to change, it still doesn't feel much like Fall. Other than a few cooler days, the weather has remained warm. We actually have a couple days of 80+ degree weather coming up! It's hard to get in the Fall spirit when it's still so warm outside. We're still wearing Summer clothes, and spending a lot of time outdoors. I would love to toss on some cozier clothes, but I do prefer warm weather! September was a busy month, filled with back to school events. I didn't take nearly as many pictures as I typically do. But just like I do every month, it's time for a photo recap! As a mom of four, my life is chaotic! If I’m not chasing kids around, I’m driving them around. So much of my day is filled with waiting, and sometimes I just need something to occupy my mind while I wait, other than mindlessly scrolling through social media. Now I have Jigsaw Puzzle in my life! 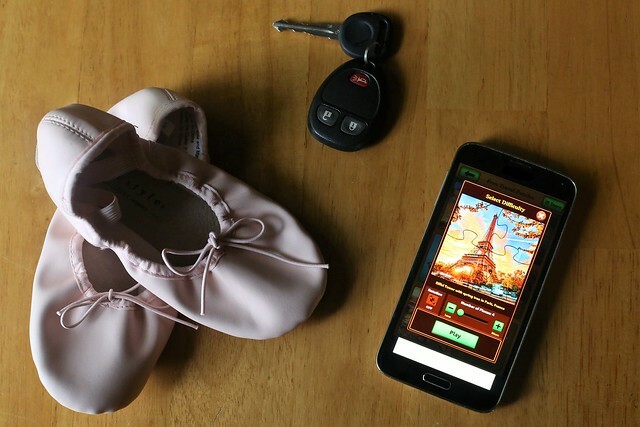 This app keeps my mind sharp, and helps to pass the time while I wait. 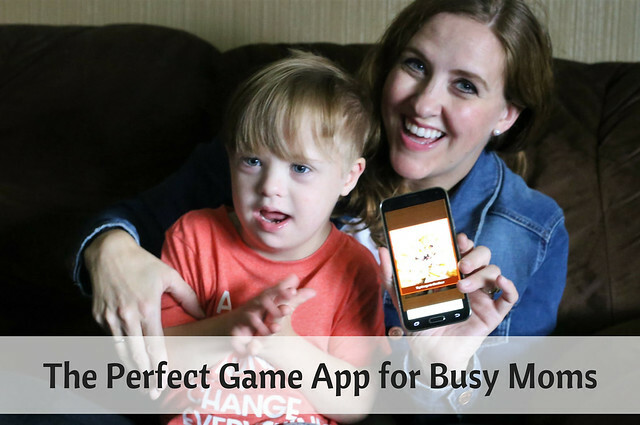 It’s the perfect game app for busy moms who just need to relax or keep busy during all those hours of waiting! Other than helping my kids with their puzzles, I haven’t put together a puzzle of my own in MANY years. Growing up, my beloved Grandma lived next door, and we used to spend hours working on puzzles together. Unfortunately, those days are long gone. I was fairly young when I became a mother, and because we spaced our children out, we always had curious little hands in our home. I simply couldn’t leave a puzzle out, because it definitely wouldn’t go undisturbed. 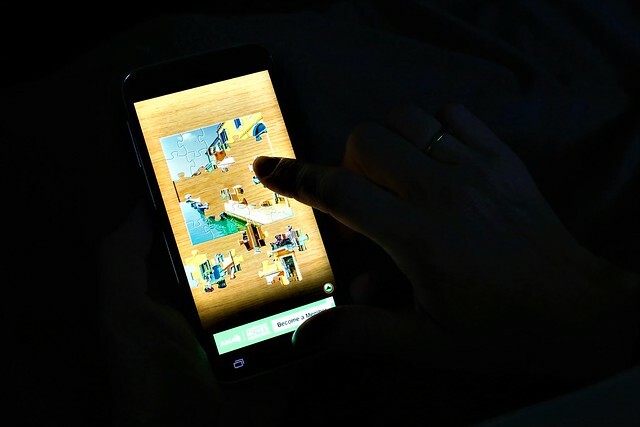 As soon as I downloaded the Jigsaw Puzzle app, I instantly remembered just how calming it can be to work on a puzzle! Happy Friday, my friends! Can you believe it's the end of September already? Where did the past month go?!? 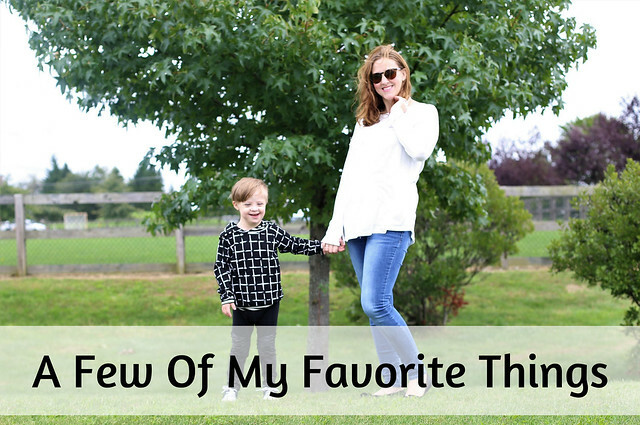 Today I'm sharing a few of my favorites that I loved during the month of September! 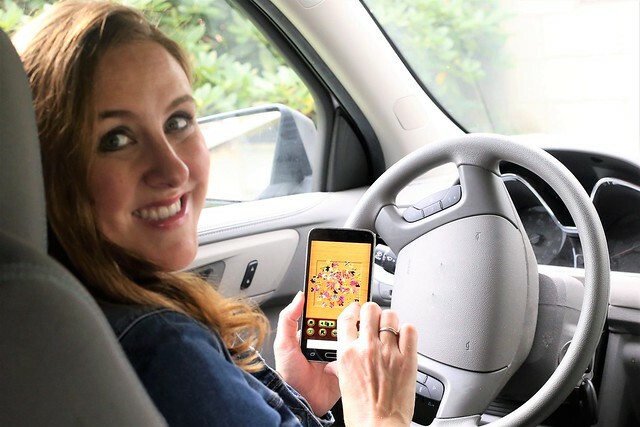 This is a sponsored post in partnership with All of Us Pennsylvania and ​The Motherhood​. As an individual, I worry enough about my own health, but as a wife and a mother, my worry increases. My family relies on quality healthcare, regular well exams, and a healthy lifestyle, but I felt like the future of our health is out of our control. I hate feeling helpless, but now I can actually do something...and you can, too! You can help change the future of medicine by participating in the All of Us Research Program! The All of Us Research Program is a nationwide research program, run by the National Institutes of Health. They are working hard to create the largest health database EVER. 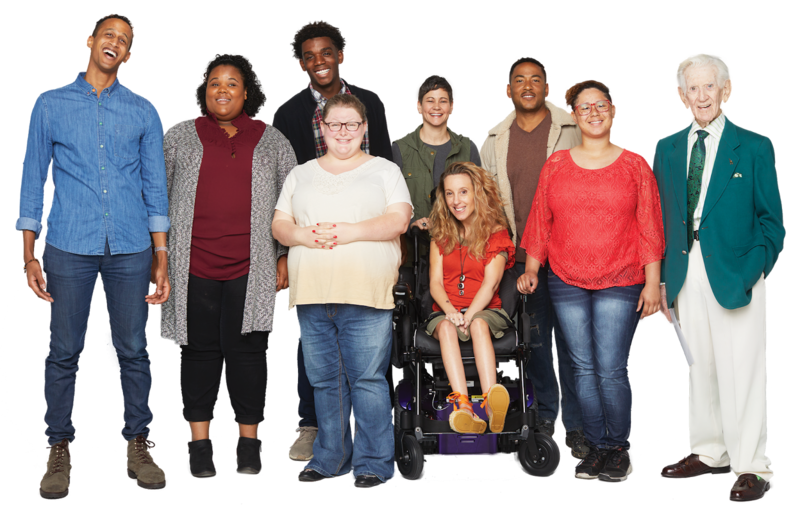 The goal of the All of Us Research Program is to get one million (or more) U.S. participants so they can find out how diseases is prevented and treated based on differences in lifestyle, genetics, and environment. Their mission is to speed up health research and medical breakthroughs. 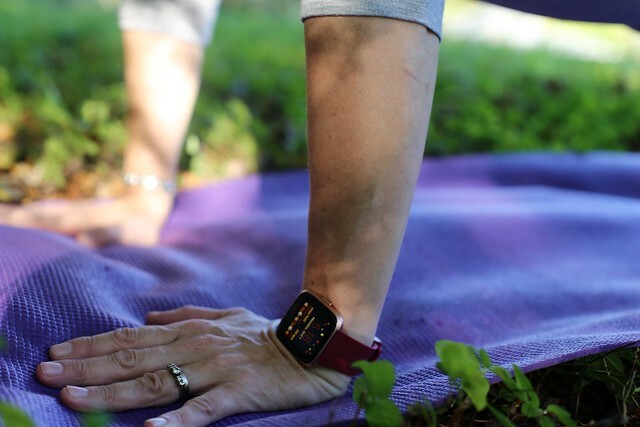 By participating, you can potentially improve your health, the health of others, and even help create a healthier future for generations to come. Participating is simple, and the information gathered will help researchers better understand health and disease. On August 18th, our sweet Liam turned 5 year old! 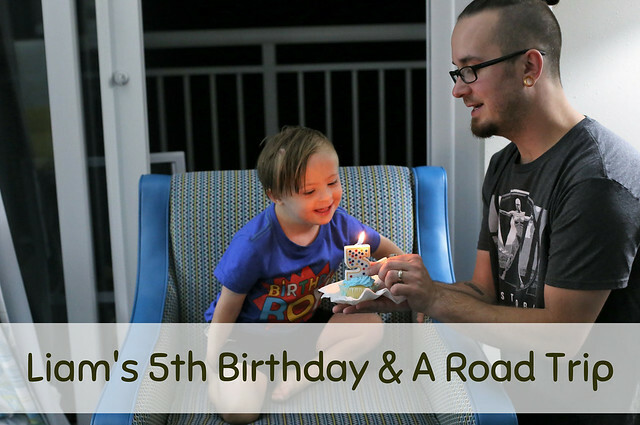 It just so happened to be the start of our family vacation, too, so we celebrated Liam's 5th Birthday with an 11 hour road trip to Myrtle Beach. 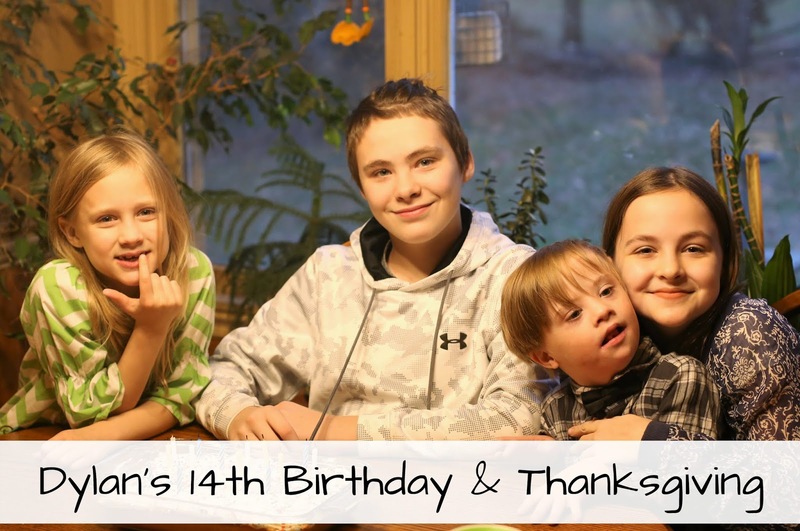 It may not have been our usual birthday celebration, but we filled his day with our favorite birthday traditions! Even though we spent 11 hours in the car, Liam didn't seem to mind one bit. He's a perfect traveler, and always does great on road trips. He didn't complain once, and the reward was spending the rest of his day in Myrtle Beach! This post contains gifted products from Cubbie Lee Toy Company. Up until Liam was born, I didn't think much about the quality of play. Play was just something that all kids did. I certainly didn't think in terms of gross motor skills, fine motor skills, language skills, and cognitive skills. 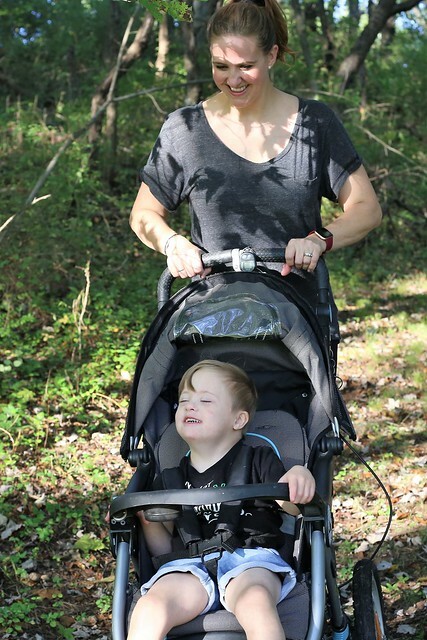 Learning those valuable skills was just something I took for granted until my fourth child was diagnosed with Down syndrome. That diagnosis introduced us to a whole new world, including actually thinking about and researching how much play matters. See, playing is more than just something kids do. Play not only inspires creativity and imagination, but it also leads to healthy brain development, and it builds fine motor, gross motor, language, cognitive and social skills. Kids can actually learn more through play at an early age, than by sitting down with learning materials, so it's important to fill your home with quality toys and encourage kids to play as often as possible! We were introduced to the concept of quality play when Liam was 2 months old. At that point, home-based early intervention therapy services began. A speech therapist, an occupational therapist, and a physical therapist began to visit our home each week. I closely observed what the therapists were working on, asked lots of questions, began to research toys and activities that helped build important skills, and asked for toy recommendations. It turns out that we already had a lot of quality toys, but from then on, I became very selective about the toys that we purchased. I also encouraged Liam to play with a wide variety of toys that would help him develop and grow! 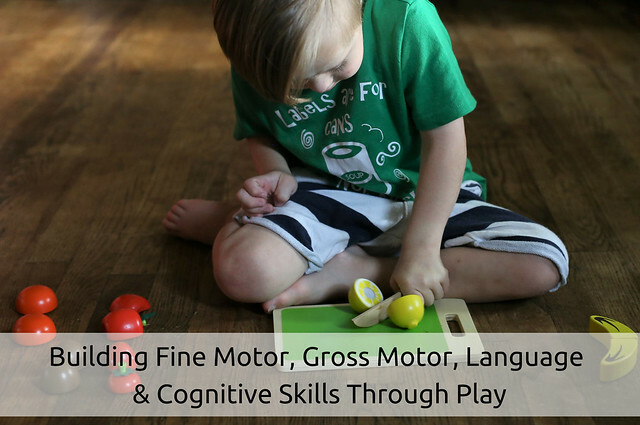 Using play to help build fine motor, gross motor, language, cognitive and social skills isn't just for kids with special needs. It's important for kids of ALL abilities! 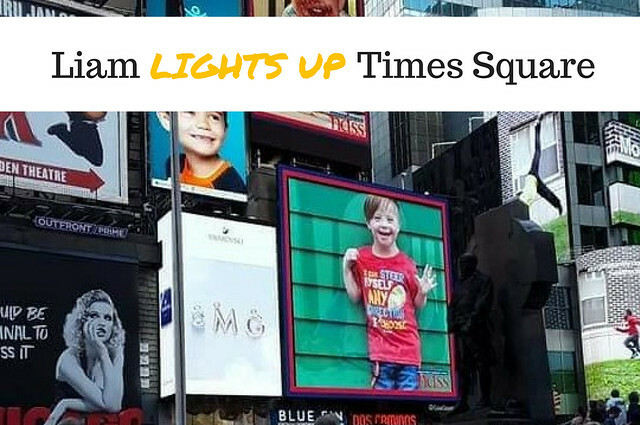 On Saturday, Liam's picture appeared in Times Square, as part of the NDSS Times Square Video Presentation, which highlights the lives of people who have Down syndrome. This was the second time Liam was featured, but yet again, we were unable to see it in person. Thankfully, we watched live (and cried)! Thanks to some amazing friends whom we have never even met, pictures of Liam from every angle in Times Square, came flooding in shortly after the presentation! 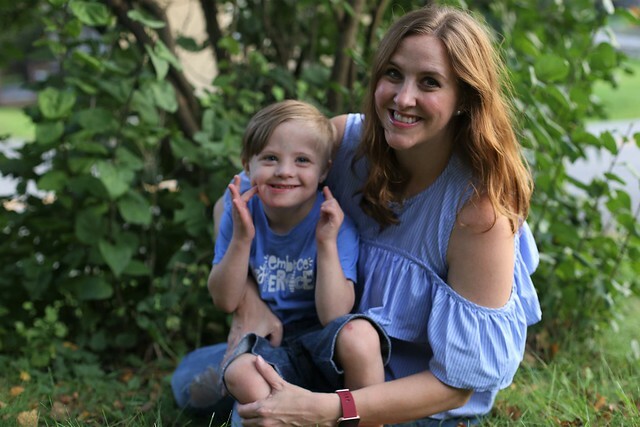 If you've been reading my blog for any amount of time, you probably already know that we had a surprise diagnosis of Down syndrome with Liam after he was born, and it wasn't even confirmed until he was a few weeks old. Initially, it was a huge shock, but life didn't change in the ways we expected. Instead, we decided that we were going to raise our son exactly like we were raising his older siblings, and life with Ds actually became quite normal. 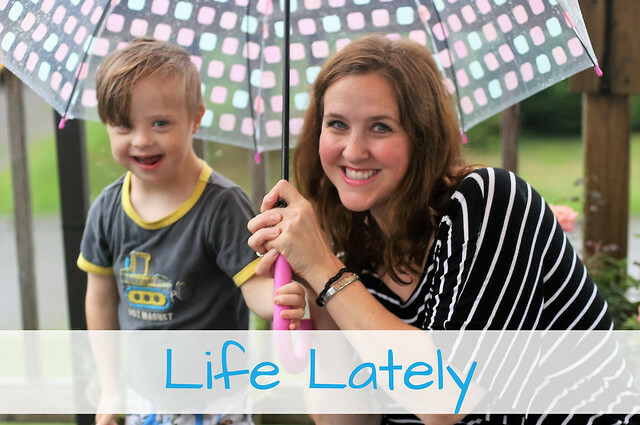 Life with Down syndrome isn't always easy, but again, life with ANY child isn't always easy. The truth is, life with Down syndrome is actually "typical" the majority of the time, and we're devoted to bringing awareness to the fact that Down syndrome is nothing to fear! The NDSS Times Square Video is a powerful way to bring awareness to an often very much misunderstood genetic condition! When my first child started school, I was amazed by the amount of important school papers that came home each week. I just tossed them in a basket, and hoped for the best. Eventually, I spent so much time looking for the papers that I needed, that I knew I had to figure out a better system. A $1 - yes ONE DOLLAR - expanding file folder from the Target Dollar Spot was the perfect solution! Using that inexpensive expanding file folder kept all the important school papers organized in one spot. I perfected my method over the course of the years, and now I use just one folder for all four of my children. I briefly attempted a file folder for each child, but it ended up being more work. There were more folders to organize and sort through, and it didn't make sense for my son who was in junior high, because most of his papers were sent by email or found online. 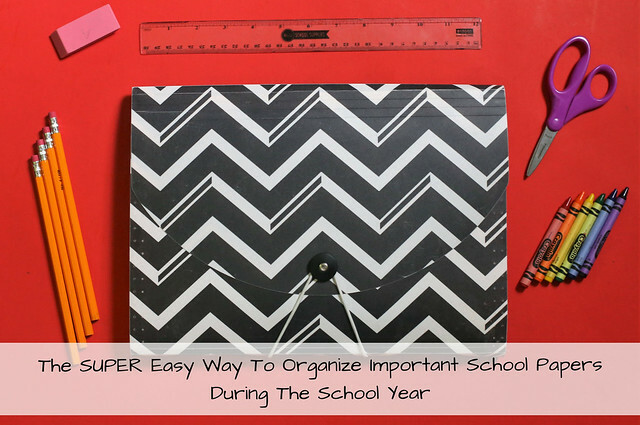 I've been using the super easy one file folder method for two years now, and it works beautifully! Today, I'm sharing my tips and tricks to make the system flow seamlessly, and the little extras I keep in the folder that I always seem to need. I highly recomment this super easy method for anybody who has a child in school! When Summer began, it seemed like August was so far away, but the months flew by. It felt like I blinked, and August was over! I took off half of the month for vacation and family time, so I left a lot of blog posts hanging out in my drafts folder, just waiting to be published. 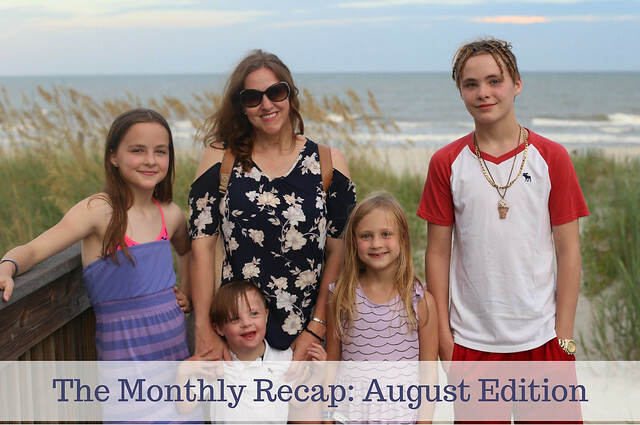 That included my usual weekly mom life recaps, so I figured I would just share the rest of August in a quick monthly recap! At the end of my last recap, I left off a week into August. So let's play catch-up on what happened last month! Spoiler alert: It's a lot! Happy Friday, my friends! The official start of Fall is just over two weeks away, but it doesn't feel much like it right now. We had temperatures over 90 degrees most days this week, and I just might be wishing away Summer for the first time ever! I am ready to decorate, embrace the upcoming holiday season, and put on some cozy clothes! Although I can't fully get in the Fall spirit just yet, I've been sneaking in a few favorites, both old and new, over the past few days. I might still be wearing Summer clothes, but it sure is starting to look and smell like Fall in my home! 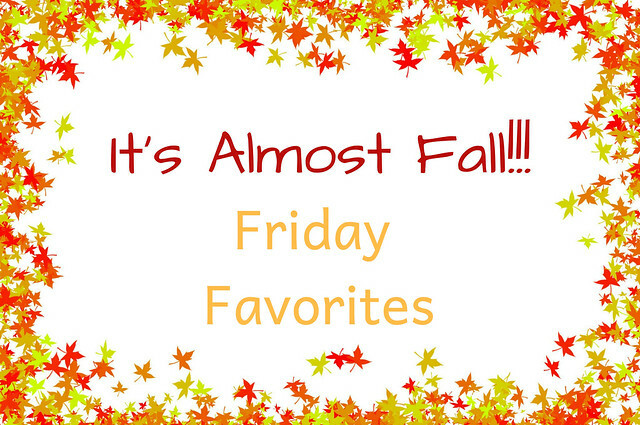 It has been a few weeks since I last shared a Friday Favorites, so I figured I would share a few of my Fall Favorites today! I'm back!!! After a nearly 3 week break from blogging, I figured it was time to get back to work. Over the course of those 19 days, we had a lovely family vacation at Myrtle Beach, and as soon as we returned home, it was time to go back to school. There was something else keeping me away, too, which I will be sharing soon. 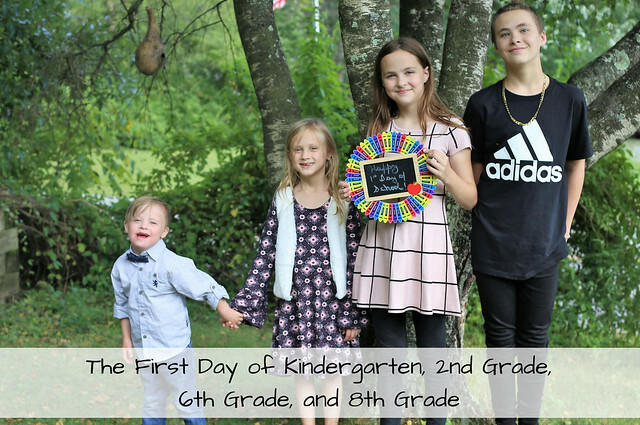 I'm going to kick off my return with a recap of a big day for my crew: The First Day of Kindergarten, 2nd Grade, 6th Grade, and 8th Grade! Although I missed blogging, I have to admit that the break was nice. I loved being able to focus on just my family! I have so much content lined up over the next few weeks, so I'm hitting the ground running today. I'm going to ease into it with one of the biggest changes for our family this year...sending all four of our children to the same school district, and having weekday mornings all to myself! The past week was exhausting, but the school year is off to a great start! Although I was very nervous about the transition, Liam is THRIVING in Kindergarten. Lily moved to a new building, Lexie is in her last year of "elementary school" and Dylan will be heading to high school next year. All four of my kids are in different schools, so I'm adjusting to the new normal of juggling even more chaos! Back to school is always one of the busiest times of the year! 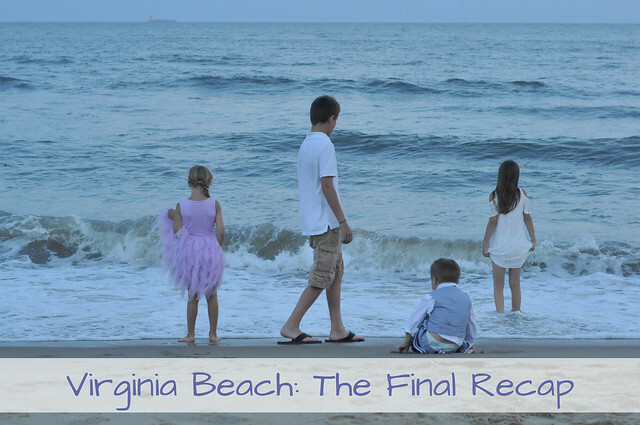 It's hard to believe the final Virginia Beach recap I'm posting took place almost a year ago to date. I didn't intend for that to happen, but life got in the way of blogging about vacation. I wanted to finish it before this year's vacation, and I hope to be more timely with that recap! Speaking of this year's vacation, as this post goes live, we will be preparing for our trip to the beach! We're leaving very early Saturday morning, which also happens to be Liam's 5th Birthday. Spending 12+ hours in the car isn't exactly the best way to spend a birthday, but he will be spending the evening of his birthday on the beach! (Hopefully that will make up for it.) We're all looking forward to spending a fun, relaxing week together at the beach! I'm back! The past three weeks have been rough. Liam got sick on July 24th, and it took him over a week to bounce back, then I caught his germs. I haven't been that sick in many years. I literally stayed home for almost an entire week, and couldn't leave my bed or the couch. I'm still not 100%, but it's a huge improvement from last week! Needless to say, I won't be posting a weekly recap this week. If I did, it would look something like this: Monday sick, Tuesday sick but had to run a few errands, Wednesday sick, Thursday sick, Friday sick but starting to feel better, Saturday and Sunday weak and exhausted. I only pulled out my camera once the entire week, and I didn't get anything done! Lily spent this past weekend at my parent's house, Dylan had a friend sleep over on Saturday night and he spent all day Sunday with us, and Lexie went to her friend's house on Sunday. I feel like the past three weeks of Summer passed by in a blur while Liam and I were sick!